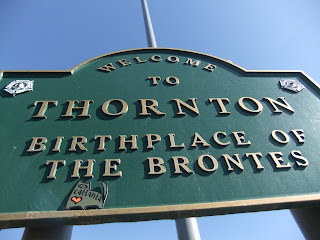 ... one of Catlanta's little kittys has arrived in Thornton - birthplace of the Brontes - Bradford, United Kingdom. Google Catlanta for details of this exciting art work.... I did try to give you a link, but it didn't work. 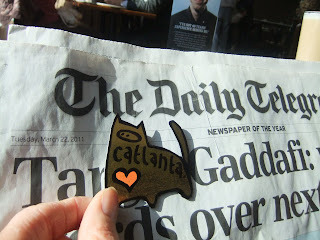 You can also follow Catlanta on Twitter and Facebook and Flikr. I think I have worked out how to add links..... try clicking here! or here!